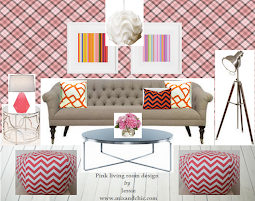 Mix and Chic: Lucky me! Why am I lucky? You may ask. For someone who has not win anything based on pure luck for the past 30 odd years, to win not one, not two but three giveaways in a row feels pretty amazing. I find it hard to believe but I am definitely thrilled, happy and excited! My first lucky win is a stylish American Apparel clutch, a giveaway hosted by the lovely and fashionable Linh from La-lalinh. (Thanks, Linh) The best part is I can pick my clutch in whatever color I want. I mean, how cool is that? Previously, there are not much color to choose from, so I was thinking between the white or the black. In the end, I picked the black for practicality reasons. 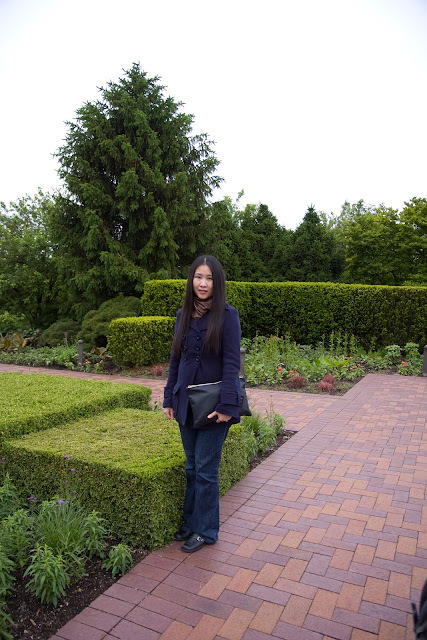 Below are two pictures of me taken recently at the Chicago Botanic Garden with my new clutch. The weather was supposed to be perfect that day but not long after we arrived, the weather started to get chilly. Shortly after, it began to rain. And with the little one getting fussy and noncooperative, I didn't have a chance to take more pictures, so these two were the best pictures we had that day. I wish I had a red pea coat instead so it would have a wonderful contrast with the black clutch, but oh well, my wardrobe is very limited. Up next is my second win, a giveaway hosted by the lovely Elizabeth from The Mustard Ceiling, courtesy of Radiance From Ruins. 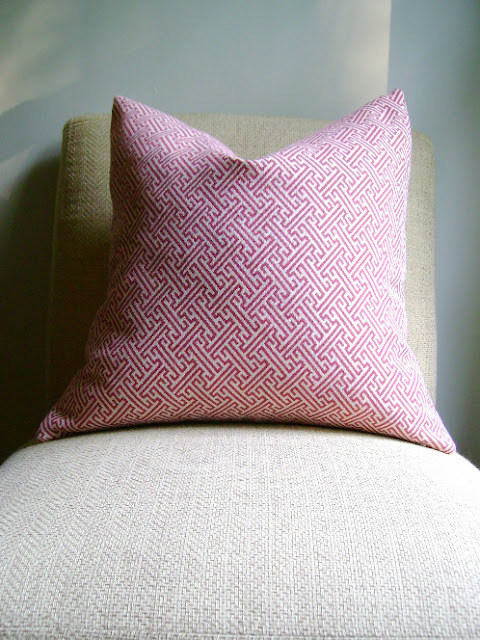 It was a pair of 20" dark pink and white geometric pillow covers. Again, I was given these three options to choose from. I instantly knew Option #3 would look great with the rest of my pillows. I was actually looking for a pair of geometric pillows for a while and these couldn't come at a better time! And the best part is, the shipping was fast. I was pleasantly surprised because these pillow covers arrived two days after the giveaway winner was announced. Talk about great customer service! Many thanks to Elizabeth and Katie from Radiance From Ruins for the wonderful prize! The pillow covers were of good quality and heavyweight fabric and they were very well-made. I am incredibly happy with how they look in my living room. Aren't they perfect with the rest of my pillows? By the way, please ignore the blank walls behind my sofa. My living room is far from completed and I am still on the look out for suitable artwork or mirrors for these walls. :) When the pillow covers came in, I did not have any inserts for them so I thought of shopping for inserts that very same weekend. I ended up visiting a few furniture stores and a consignment shop. Luckily for me, I found two pretty zebra patterned pillows at $10 a pair at the consignment shop so I bought them instantly thinking I would use them if I ever want to change my decor. I have always wanted to have a zebra patterned rug in the future so I thought these pillows will come in handy. After I got home, I thought maybe I can take out my zebra pillow covers and replaced them with my two new pillow covers so I can save some money instead of finding two new inserts. Unfortunately, the inserts didn't come with a cover and they were just filled with polyfill stuffing. I thought it will be a hassle to take them all out and stuff them back inside the two new pillow covers. So I just took the new pillow covers and cover them over the zebra pillows. Fortunately, they are the same size and they fit perfectly! Yay! As always, everything worked out in the end. 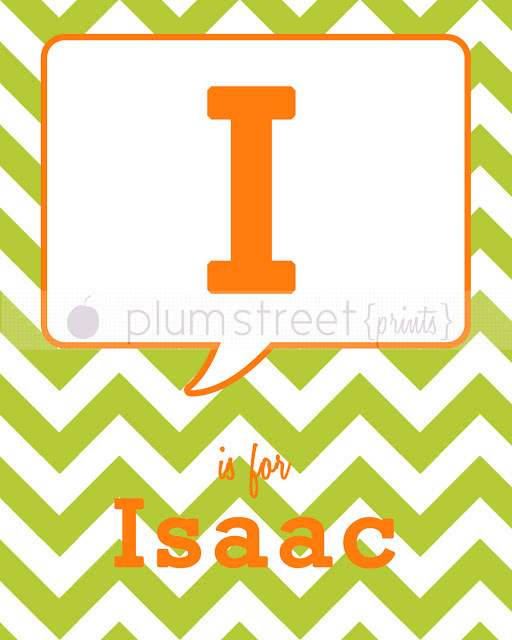 Next up, my third win, a giveaway hosted by the talented designer, Caitlin Creer, courtesy of Plum Street Prints. Now, Plum Street Prints is a darling shop selling printable art and iPhone cases run by two sweet girls. 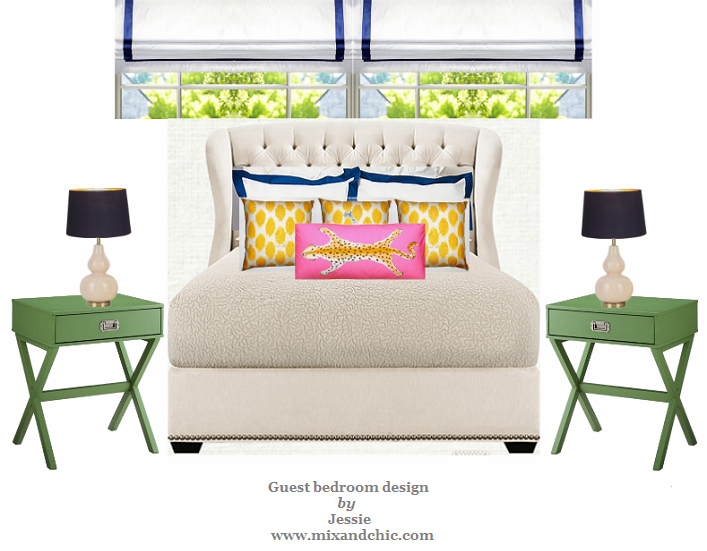 Their designs are modern, affordable and chic. 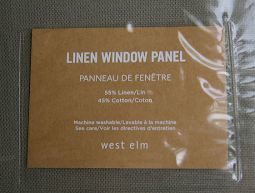 Best of all, everything in their shop is customizable from designs, colors, names and initials. I love most prints in their shop but in the end, I decided to go with Boy's Monogrammed "Conversation" Children's Print because I need some modern and stylish artwork for my son, Isaac's future bedroom. I contacted the girls, Lori and Shannon at Plum Street Prints and tell them my favorite print, my preferred background and colors. These wonderful girls quickly worked their design magic and came up with these four choices below for me to choose from. I thought the design from the first row on the left was what I had imagined in my head, so I picked that one although the rest was quite adorable, too. Which one would you pick if you were me? In case anyone is interested with any of Lori and Shannon's prints at Plum Street Prints, let me reassure you, these girls are a breeze to work with. They are very patient, accommodating and efficient! I have yet to print this artwork but I am sure it will be pretty fabulous! Many thanks to Caitlin Creer for hosting this great giveaway and my sincere thanks to Lori and Shannon, for this awesome print! I love this print very much! So, there you have it, my three wins in these few weeks! Among these giveaways, which one is your favorite? What great things you have won !! I have been wanting one of the AA clutches...soo cute !! 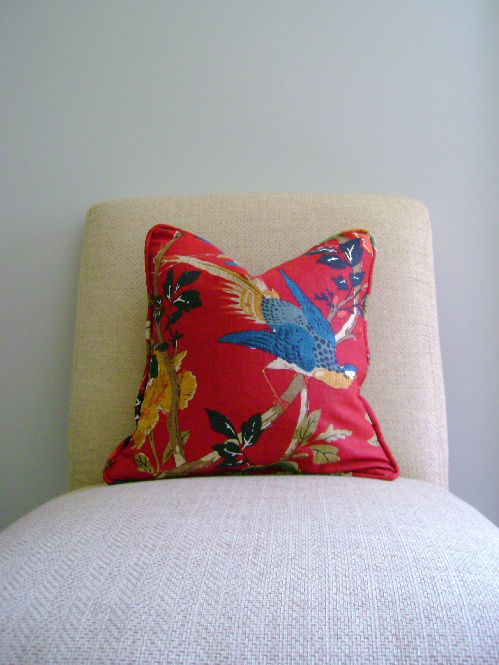 Love the pillows too. 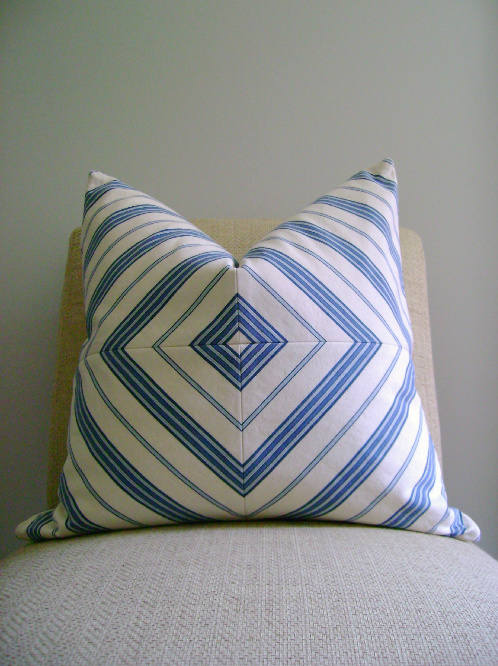 At first i liked the bird pillow but then saw how incredible the geometric looked with your pillows. 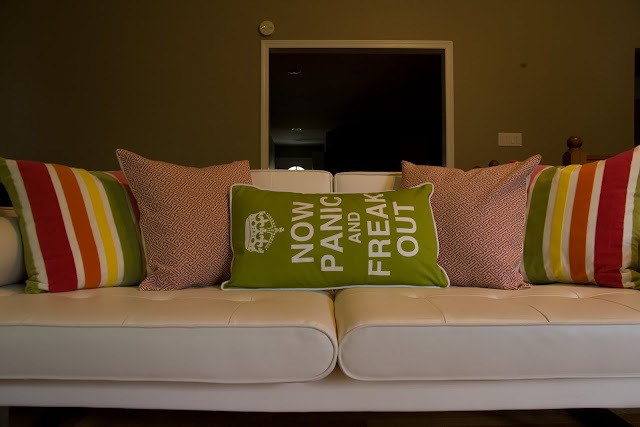 And that now panic and freak out pillow is so fabulous! ANd you pictures are amazing. Congratulations on the fabulous wins. PS You definitely rocked the clutch! You should buy a lottery ticket, you are sure enjoying some amazing luck!! What great giveaways to win! P.S. you look beautiful in the photos! The pillows look great! LOVE that couch. I would love to be snuggling on it right now. Thanks for visiting my blog! Love the couch and pics. WORK IT GIRL!!! Uh yes! You totally rocked the look :) My goodness - you look like Lisa Ling! Such beautiful hair! Thanks for posting this and it was MY PLEASURE to host the giveaway!!! Congrats! Such cute things. The clutch is fabulous! OHHH you are so lucky Jessie!! I entered the pillow cover giveaway too- guess now I know who beat me! 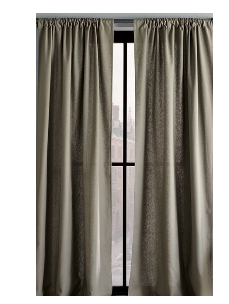 ;) They look so pretty on your couch. I love that center pillow that you have too- I love how it's the total opposite of the popular "Keep calm and carry on"! 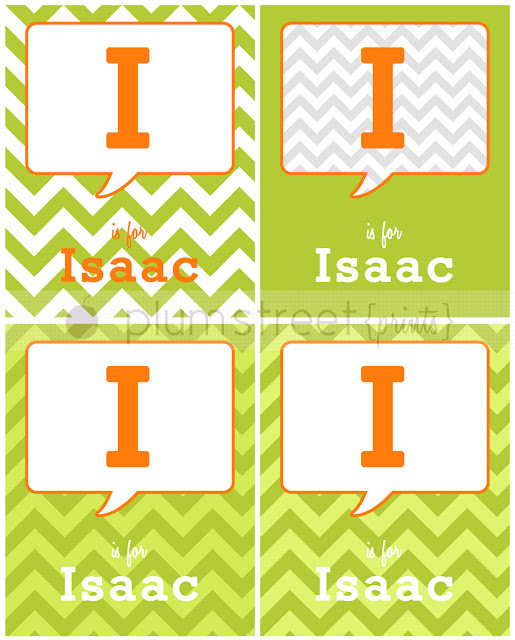 The print with your son's name is super cute- I think that one's my favorite. You look really pretty with your new clutch! Wow! That is some amazing luck! Come on over to my blog, Rosa's Picks, and enter to win my contest today! You're on a roll! You are on a roll! You really need to buy a lotto ticket. I love each and every item you won. Congrats to you! Cool congrats! You're definitely on a streak, keep it up! thank you darling ! I'm following back . good luck for the giveaway. Your soooo LUCKY!! i never win!!! i love the #3 pillow! im gonna buy one right now! thanks for sharing!! Look at you, lucky girl! Loved seeing pictures of you with your cute clutch! As everyone else said...time to buy a lottery ticket! Love the picture of you in front of the blue door.....and what great giveaways, all of them! Congrats on your luck! I'm loving seeing the pink pillows in their new home! They look great! And I'm thrilled that you are pleased with them! i wish were meet you!